Former Limerick United captain Joe O'Mahony has passed away following a brief illness, aged 65. Captain of the Limerick side that won the league title in the 1979-1980 season, O'Mahony enjoyed a 20-year League of Ireland career with the Treaty City side. He also was captain of the 1982 FAI Cup winning Limerick United team against Bohemians and played in 1971 FAI Cup winning team, which beat Drogheda United after a replay. O'Mahony made his debut for Limerick against Sligo Rovers in November 1966 and his final game was in October 1986 when he returned after a two-year break to make an appearance against St Patrick's Athletic in Hogan Park aged 38. Having made 418 league appearances for Limerick, O'Mahony is one of a select band of players to make more than 400 appearances in the league. 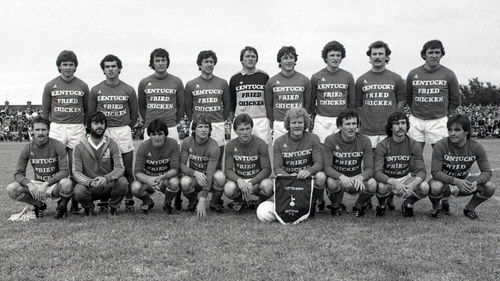 O'Mahony was also a key part of the Limerick side that won the League Cup for the first time in their history in the 1975-76 season. And O'Mahony also captained Limerick in the European Cup clash against Real Madrid, the home leg was played at Lansdowne Road as O'Mahony's side were narrowly beaten 2-1. The Limerick native was capped at youth international level for Ireland in March 1966 against Northern Ireland and also represented the League of Ireland against the Scottish League and Australia in 1970. O'Mahony was on the bench in Prague in 1969 for a senior World Cup qualifier but didn't play. His performances as centre-back earned him huge popularity with the Limerick fans. He was known for his ferocious shot and was a free-kick specialist. The supporters often shouted 'Have a go Joe' when he was in shooting distance. FAI CEO John Delaney led the tributes to O'Mahony, saying: "I am deeply saddened at this news. I have great memories of Joe playing for Limerick. "Limerick had great rivalries with Waterford and he was a top class player. My sympathies to his family. The Association will mark his passing in March at the Serbia international."